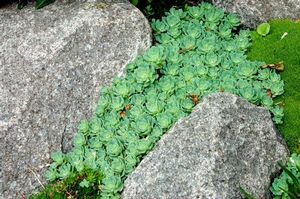 Attractive rosettes of powder blue toothed leaves form a decorative cluster perfect for the rock garden or along a stone path. 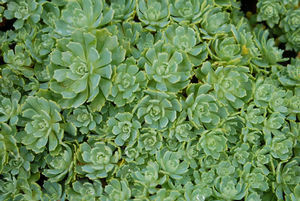 The 2" foliage is topped with pink star-shaped flowers in late summer. 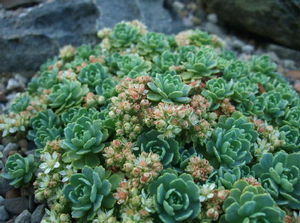 Plant in a dryish sunny location.